Steeped in history, Tehran, the capital city of Iran and an ever increasing focal point for the sport of table tennis, proved the excellent home an ITTF/PTT Level One course staged from Friday 14th to Wednesday 19th July. Organized under the auspices of the ITTF Development Programme, the initiative was part of an Olympic Solidarity Technical course that included three courses. Additionally, there was an ITTF Level Two Course held prior and ITTF Level One Course Conductor Training course on Thursday 20th and Friday 21st July. Level One courses are normally held over five days but it was extended an extra day owing to translation from Farsi to English. Jamil Lotfollahnasabi acted as the hard working interpreter. He is also certified as an International Level One Course Conductor. Reza Nobahar was the interpreter for the ITTF Level Two course where he was also a participant. He helped out when Jamil was too tired. The Iranian culture is very respectful and polite and they are very eager to work hard and learn new things. Table tennis in Iran has improved a great deal in the last 10 years. It is a highly popular sport with a major infrastructure and many good facilities. Iran is tied for the second place for the highest number of ITTF certified coaches, 281 in number, alongside Chile. Egypt still leads with over 360 such coaches. The course was combined with the Course Conductor training; a total of 22 coaches took the course for the first time; eight coaches being present for a second time as part of their training to be Course Conductors. 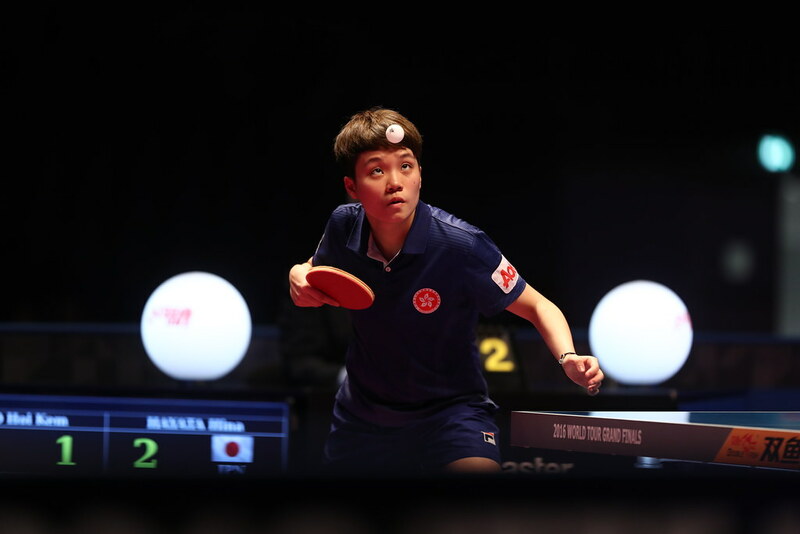 All of those eight members had attended and passed the previous week’s ITTF Level Two Course; this course had for the first time more women attending than men, no less than 16 women and 14 men. In Iran only female coaches may coach girls and only male coaches may coach boys. Iran currently has the highest percentage of women table tennis coaches in the world. About 40 per cent of all coaches in Iran are women. Notably, all 22 coaches who attended the practical test passed; this happens very seldom and is a testament to the high level of coaches in Iran. Many of the coaches had PhD’s and master degrees in physiology and had played for the national team or had coached at national level. Immediately after the ITTF/PTT Level One Course, the two day Course Conductor training started. Notably, Glenn Tepper, ITTF Deputy Chief Executive Officer, arrived the day before and helped with the course. Glenn created this course about 15 years ago and has done more such courses than anybody else in the world; his education background in physical education really shows up in these courses. He is a master of enabling the coaches to understand how to motivate students with simple clear directions. Glenn also certified me as an ITTF/PTT Level One Course Conductor seven years ago. Now I had an opportunity to work side by side with my teacher. Normally ten students is the maximum allowed but Iran requested that to be extended to 15 and bring in Glenn Tepper to help with the course. Notably several progressed directly from their first experience of a Level One course for directly to Course Conductor Training, this is very difficult. They had to do a quick transition from coach to conductor. In the Level One course an extra hour was added to each day for Course Conductor training; everyone who wanted could attend that extra hour. The 22 coaches, all were present for those extra hours. Course Conductor Training has three tests, a practical test that shows if the conductors can teach coaches on the table; a theory test where the conductors are tested in their presentation skills in a class room setting. Finally and at the end, there is a written test of one hour. Students need to pass with a score of very good in order to teach in their own country. If they receive excellent, they can teach outside their home country. The first course is organized in the home country. Iran currently has two Course Conductors who a re certified Internationally. Out of the 15 conductors five tried for the international level, which means all presentations had to be done in English; four passed, a very high score, maybe the best ever. They were Peyman Abolhassani, Nazanin Meghdadi, Fatemeh Keyvani Houri and Sadat Seyed Aghamiri. Three of these were female conductors, seven passed as national conductors. Importantly, before these Course Conductors are officially certified they have to conduct one ITTF/PTT Level One course within one year of finishing proceedings in their home country. It was a very enjoyable experience to work with such highly educated coaches and conductors with so much experience. Table tennis in Iran has a bright future; they have a highly qualified base of coaches and conductors.